New Puzzle Sets for PDCW App and Daily POP Crosswords! We’re excited to announce new puzzle sets for both of our marvelous crossword puzzle apps! Yes, whether you’re a fan of our Penny Dell Crosswords App or our Daily POP Crosswords app, we’ve got something special for you! First off, we have the Cheers! Deluxe Set for the Penny Dell Crosswords App! 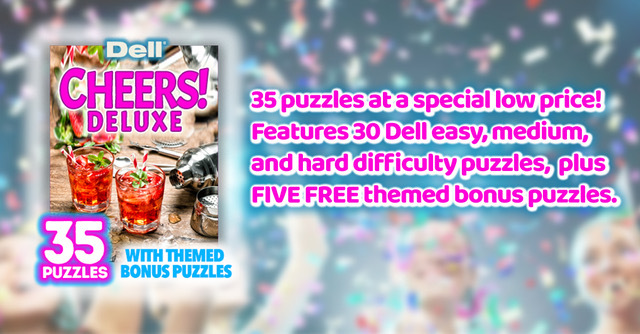 With special themed puzzles and plenty of great puzzles at all difficulty levels for you to enjoy, it’s the perfect way to cap off the end of summer, the start of the school year, or just a pleasant Friday at home! 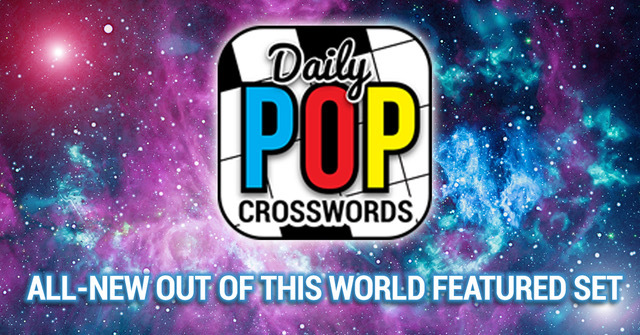 And for the Daily POP Crosswords users, we have our latest featured set, Out of This World! Consisting of ten puzzles, all with space-related themes, this puzzle set offers the fresh, pop culture-savvy cluing you’ve come to expect from PuzzleNation, all in ten terrific puzzles collected for your convenience and enjoyment! Both are available now for in-app purchase, so don’t miss out on these terrific new puzzle bundles!